Light Design is a key supplier when it comes to providing audio visual solutions, video systems, custom graphics, logos, plasma LCD screen and projector hire. London and the South East are our primary markets where, from our warehouse on the London, Essex border, we are perfectly positioned to offer fast delivery to our customers for their full range of visual, projector and audio hire requirement. Light Design has amassed over 10 years experience in offering the very best when it comes to high end audio visual production so whether you require a small projector, a corporate presentation system with power point laptop and screen hire, or you are looking to put you logo or custom video footage on a large building or object, Light Design have a team of experts that will turn your problem into a viable solution. So whatever your requirements whether its screen hire London last minute dot com, or stunning backdrops of video at your AGM or even 10 plasma screens delivered and set up same day we are here to help. 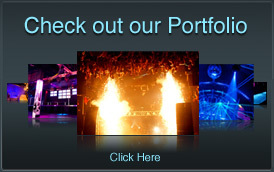 Light Design based in London offer a full suite of services for almost every hire scenario. We cover small projector hire for the smallest meetings right up to the largest 25,000 lumen projectors for stadium tour and arena events, We supply video solutions for all aspects of the corporate events industry, as well as providing screen video hire for tours, concerts, music videos and other music related applications. This has seen us work on large scale music festivals, along side houses of worship in the very same week, so whatever you requirements we can help. 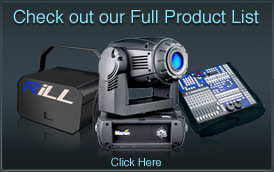 We have a full range of hire equipment on offer covering every source whether you require video or DVD playback, want to run programs like Microsoft power point from a laptop or would like a PC with video suite software loaded; we can help. We also specialise in providing bespoke video footage and animations. With this custom service we can turn almost anything in to video, so stand out from the rest of the crowd, have your company logo spinning on screen at your meeting or presentation, let us create a dazzling fish tank or giant lava lamp backdrop on your wall of moving video. What ever you require we can deliver! Light Design also offer video installation for hire or sale, so if you have more permanent A/V, plasma, projector or screen requirements or you are just looking to rent on a long term basis, we can help with this as well. Having just completed several high profile video installations we are well equipped and ready for any bespoke video installation, so let our expert fully qualified video team show you the way. We can offer a 3D CAD design service either at our base in London or onsite. We can work with you to plan every element of your video installation project and then implement it to perfection. Light Design is an innovative supplier of A/V, projector, plasma and screen hire offering the very best solutions to the corporate, dance and live industries. We are committed to providing high levels of customer service to our demanding customer base who expect the very best in all aspects of video solutions. For screen hire London, projector hire London, A/V systems hire London, contact Light Design today and speak to one of our specialist team to discuss your requirements. 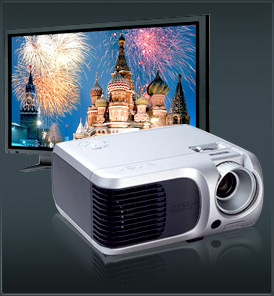 Join our existing customers enjoying hassle free projector and screen rental with high end service!